Buying rental property can generate an excellent source of passive income. But the process of purchasing, renovating, and renting out a property is anything but passive. The key to making your rental properties work for you is choosing the right projects from the start. The last thing that you want as an investor and a landlord is to pour your blood, sweat, and tears into a property only to have trouble filling it or to encounter a consistently negative cash flow. Paying extra attention to these five issues when you’re buying rental property can help you make informed investment choices right from the get go. Choosing a property close to your primary residence is often the best way to ensure that you know the neighborhood inside and out and have easy access. Knowing the outlook beyond just housing prices will help you make an informed decision all around. Realtor suggests digging deeper by researching major local employers, what brings people to the area, and what the overall economic outlook says about the future of the location. It’s always helpful to learn from the firsthand perspective of people who live nearby. And remember, landlord duties often entail checking on properties and stopping by to make repairs or speak with tenants. These tasks become more cumbersome when you live far away. There will be expenses that you can predict ahead of time, and there will be expenses that you cannot. 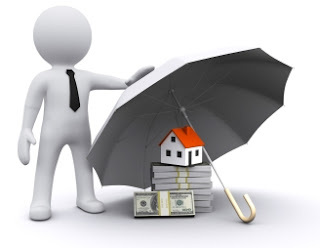 It’s up to you as a real estate investor to plan for both fixed and variable expenses. It’s easier to accommodate for fixed expenses, which include costs like taxes, routine maintenance, and insurance. It’s tougher to pin down completely unexpected expenses like emergency repairs or large-scale improvement projects. The only sensible solution is to have a significant chunk of money tucked away for both routine expenses and unforeseen ones. You want to see positive returns on your investments besides just the potential to sell your property far down the line, right? If so, it’s time to calculate cash flow. This involves taking a comprehensive look at how expenditures could compare to revenue. One solid indicator will be the Schedule E document for the property in question, which reports income, expenses, and depreciation. Asking the current owner for this documentation will help you get a reasonable estimate for what you can expect in terms of cash flow. What will you need to upgrade? What is fine as is? The asking price for a rental property is only the tip of the iceberg when it comes to determining whether it’s the right investment for you. You may need to sink significant funds into bringing the property up to code, not to mention pulling off cosmetic and lifestyle upgrades to attract tenants and make your listing stand out. According to the experts at Time, here are several renovations to skip because their perceived value is usually greater than the actual payoff. High-end upgrades like top-of-the-line appliances can be an attractive listing point, but going overboard can price prospective tenants out of the rental. Carpet doesn’t hold up well over time. It’s generally a better idea to refurbish hardwood or tile rather than springing for carpet. Hyper-specific rooms can alienate certain tenants. Keep your spaces general so many different types of prospective renters could see themselves putting it to good use. Landscaping can help boost the aesthetic appeal of a property, but elaborate yardwork may become a chore for you or your tenants to upkeep over time. Despite all the ins and outs, working with the physical property may be easier for you than working with tenants. Your best bet here is to make sure that you truly know who’s moving into your house and to develop effective communication habits over time. Enlisting the help of property management can help ease the burden of rental property owners when it comes to posting listings, screening tenants, organizing maintenance, and more. Make sure that you’re ready to respond to your tenants’ needs and keep careful documentation once your rental property is occupied. Buying rental property should not be a hasty decision. Consider these five aspects closely before making any moves and you’ll be better prepared to take charge of your property investment experience.